While there is currently no cure for rosacea, there are a number of skin treatments available to restore the vitality and health of your skin. The progression of rosacea symptoms can be halted and managed through identification and avoidance of triggers combined with gentle rosacea skin care and laser treatments. It is very important to consult a skin-care specialist to gain a better understanding of your rosacea triggers and develop a personalized rosacea skin treatment plan for healthier, more beautiful skin. Extreme temperatures: This can include saunas, hot baths and other very warm environments. Emotional triggers: Try to avoid any situations that may cause you stress or anxiety. Certain beverages: Drinks known to trigger rosacea flare-ups include alcohol and hot drinks. Skin care products: It is best to avoid any alcohol-based cosmetics as well as acetone substances. V-beam is a pulse dye laser used to minimize overall facial redness associated with rosacea. Using an innovative laser technology, V-Beam combines longer pulse durations with cryogen cooling for rosacea skin treatments that are safer, less painful and more effective. How does V-Beam Laser Treatment Work? The pulse dye laser delivers a short burst of light into the skin that will be absorbed by the abnormal blood vessels in the epidermis. These blood vessels will then coagulate & be reabsorbed by the body during the healing process. How many skin treatments do I need? Patients typically require 3-5 treatments spaced approximately 4 weeks apart for optimal results. While the longevity of the treatment depends on each individual patient, results can last anywhere from 6 months to 2 years. Follow-up treatments 1-2 times a year may be needed to maintain results. 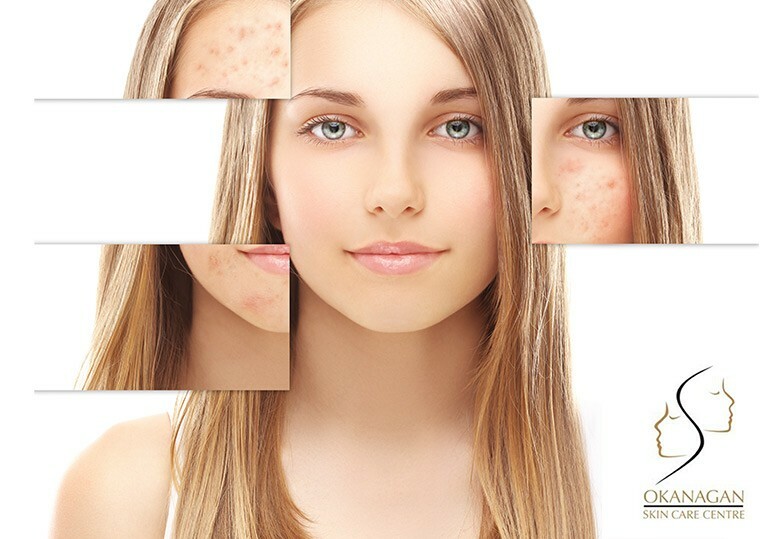 V-Beam laser treatment is safe for all skin types and ages. The technology uses a cool spray before each laser pulse to protect your skin and maximize comfort during treatment. At our Kelowna skin care centre, we utilize the advanced VISIA digital skin analysis to determine your unique skin profile and develop a customized rosacea skin treatment plan to suit your specific needs. This innovative system allows you to monitor your progress from treatment to treatment and allows our specialists to make any necessary changes to ensure that you receive the safest, most effective results. To learn more about the costs, benefits and results of V-Beam laser treatment contact our skin care clinic today at 250-868-9290 or book a consultation with one of our skin-care specialists.